Industrialist Anil Ambani has thanked his brother Mukesh for ensuring he didn’t have to do any jail time. Mukesh, one of India’s richest men, has paid back Swedish telecom giant Ericsson INR 458 crores (over $77 million) a day before a Supreme Court deadline. "My sincere and heartfelt thanks to my respected elder brother, Mukesh, and (sister-in-law) Nita for standing by me during these trying times, and demonstrating the importance of staying true to our strong family values by extending this timely support," a statement from Anil Ambani read. Last month, the top court had ordered Anil's debt-hit Reliance Communications to pay Ericsson its dues within four weeks or face a three-month jail term for contempt of court. 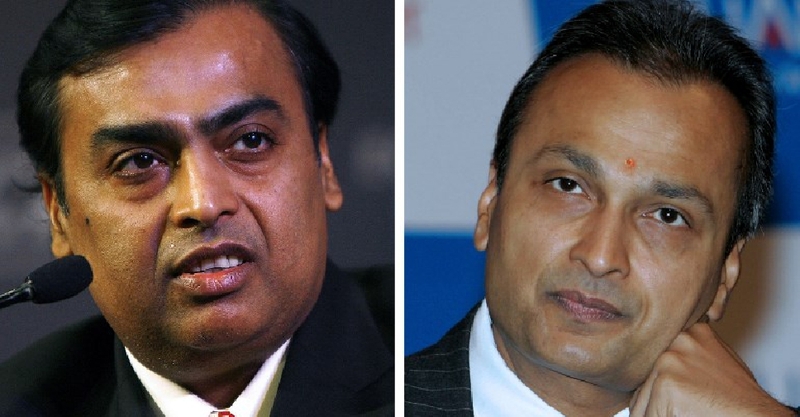 The brothers have been caught in a bitter feud after their father, Dhirubhai Ambani, died without leaving a will in 2002.